This is an exciting exercise in discovering the inner you. Science tells us that it takes three seconds for someone to assess who you are upon first meeting. If so, how would someone describe you? Would it be creative, intellectual, sophisticated, sassy, casual, dynamic, formal, fashion-forward or one of hundreds of other adjectives? Do you dress in the latest fashion trends? Do you dress like your mother or your best friend? Or do you just throw something on and hope no one will notice? We want others to notice you—in a positive way! That’s why we want to identify who you are at the deepest level, your inner essence, your true being. We want to uncover what makes you unique in order to discover how to express it, to create your personal style. 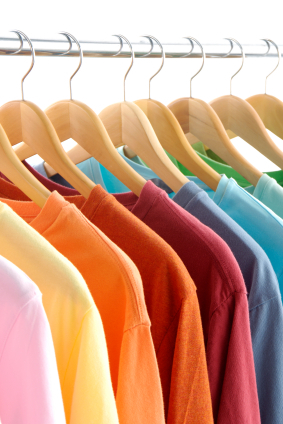 Color is the most important element in creating a wardrobe you love. It speaks volumes about you before you ever say a word. It’s the first thing others see–long before they notice the cut, pattern, fit and shape of your clothing. So discovering which colors flatter you and which do not is essential to creating your personal style. Knowing those colors can also save time shopping, coordinating your wardrobe and dressing every morning. During this once-in-a-lifetime analysis, we test close to 200 colors to find those that best flatter your eye color, your hair color and your skin tone. You then receive your personal palette in the form of a purse-size fan guide that you can carry with you always, making shopping easy—and fun! Makeup has but one purpose: to enhance your own unique features. Too much or too little will detract from the beauty that is you. So it is with hair styling; its sole purpose is to flatter the shape of your face and help draw attention to your best features, whether it is beautiful eyes, a long neck or a luminous complexion. Prior to doing your customized makeup makeover, we’ll do a skincare analysis because your skin is the canvas upon which your makeup artistry will shine. We create a custom foundation for you that exactly matches your skin tone and type. 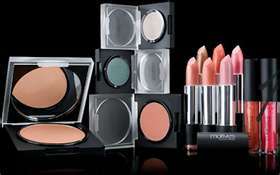 We’ll then show you how to apply the most flattering makeup look for you, one that enhances your best features. And finally we’ll top it off with a visit to a professional hair stylist to find the hair color and cut that best suits your coloring, your features and your personality. Have an outfit you love but never wear because it doesn’t quite look right on you? Ever go shopping and find the perfect fashion piece but when you try it on it neither fits nor flatters? That’s where the magic of Fashion Fit Formula comes in. It’s a tool that helps you understand how to balance your body and visually create the ideal hourglass figure—no matter what your size or shape. This revolutionary system tells you the exact lengths to wear your neckline, sleeves, skirts, pants, jackets, coats and capris—even the best width belt to flatter your figure. And the results are good for a lifetime regardless of weight gain or loss! Is your closet overflowing with clothes you don’t like, don’t wear or don’t know how to wear? Do you know what to keep, what to toss and what to reinvent? And how do you decide? Once you know your body shape, you will know which wardrobe pieces best flatter your figure. Together we will discover what shape neckline, pant, shirt, jacket or skirt to wear to balance your body and create the illusion of an hourglass figure, no matter what your size or shape. Then as we go through your closet together, we will streamline your wardrobe by addressing issues such as color, balance, shape, size, fabrics, patterns and suitability. You’ll learn what works, what doesn’t and where you need to fill in. If you’ve created a wardrobe by default—received gifts or hand-me-downs, shopped a can’t-miss sale or picked up the latest trendy item just because it’s trendy—then your wardrobe probably doesn’t excite you. And shopping probably doesn’t either. But when you choose a wardrobe because it works, because it reflects who you are and because it fits and flatters, you’ll find joy in wearing each piece because you love it. 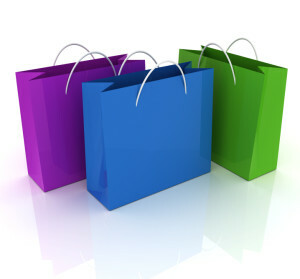 And you may even find you love shopping! Personal shopping includes searching for the perfect accessories—jewelry, scarves, shoes, handbags and more—anything that tells the world who you are. And accessories can be mixed and matched to redefine any outfit to fit any occasion or whim.